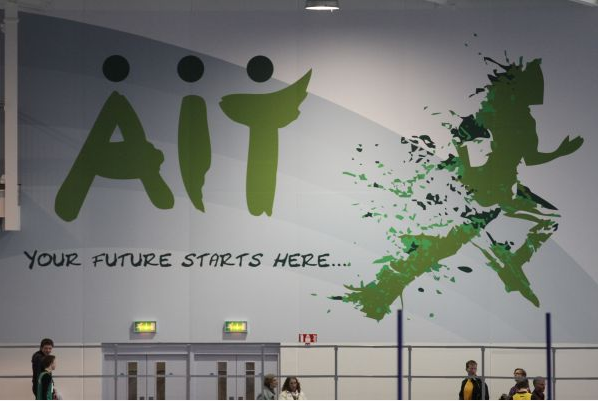 The new state of the art Indoor Arena in Athlone opened its doors on Saturday to stage the national Indoor Combined Events Championships. Michael Bowler, with a points total of 3431 was the winner of the senior event. This gave him the unique distinction of being the first senior athlete to take the podium for the gold medal presentation in the new arena. Kilkenny City Harriers had other medal winners in Jack Manning and Catriona Twomey. Jack won silver in the Boys U-16 event achieving PB’s of 1.61 in the High Jump and 11.06 in the Shot Putt helped to finish with a points total to 2994. For Catriona, competing in the Junior event, the medal colour was bronze. Her points were 2597 which also included a PB of 1.58 in the High Jump.